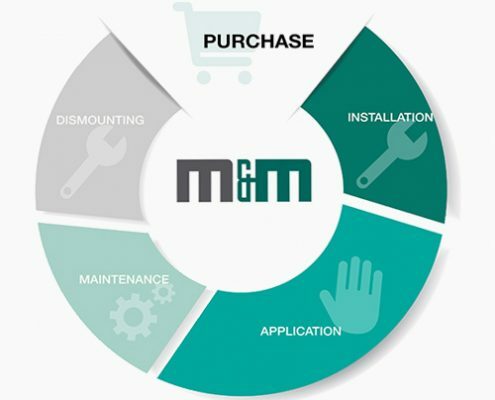 M&M experts consult on the most suitable and economical solutions, which are based on the customer’s specified needs. Our technicians are committed to deliver high-quality pre-sale and post-sale technical support throughout the product’s lifecycle. We are here for you at the time of purchase, assembly, use, maintenance and disassembly of the product. We consult you with the choice of the most suitable and economical solution, a potential risk warning notice, possible alternatives and complementary items which will decrease the wear-and-tear of the product and increase the products lifetime. We always do our best to find the right solution which is based on our knowledge, experience and tight collaboration with our partners.